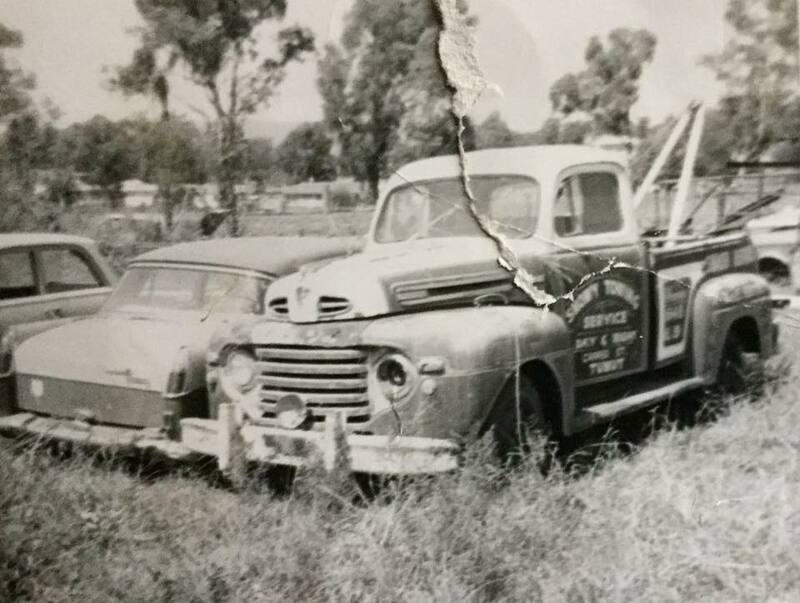 This 1949 Ford tow truck, towed in hundereds of smashed cars that Snowy workers pranged on the way home to Talbingo. One Saturday night there were 11 smashes overnight. John Wyse Snowy Smash Repairs.